The European legal framework for consumer ADR/ODR incorporates recognized best practices, and in doing so, those who created the EU Directive and Resolution have started a process of professionalizing a traditionally unregulated sector. The rationale behind this regulatory effort is the promotion of ADR/ODR as the primary form of dispute resolution for consumer disputes. This institutionalization process is moving ADR from the unregulated models of redress to an increasingly important part of the civil justice system in the United Kingdom and the rest of Europe. 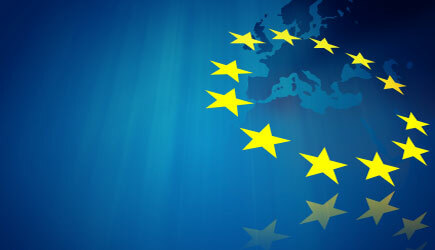 From a European Union view point, consumer ADR is more than a mere tool of dispute resolution; it is an essential mechanism to ensure better compliance with consumer protections laws. Accordingly, a key element of a successful consumer redress system should be effective pathways from ADR processes to courts, regulators, and public enforcement bodies, as these public bodies play an important role in ensuring regulatory compliance and clarifying the interpretation of the law. This interconnection would ensure that merchants tackle the causes and consequences of their disputes with consumers, and in doing so, they would improve industry standards benefiting the society at large. The EU and national governments have yet to figure out how these ADR/ODR entities will complement (or even compete) with modern judicial processes, especially deciding how and when cases should proceed to court. In such discussions, policy makers would do well to focus on the needs of citizens, not those of lawyers, who will always have important roles to play in providing legal advice and legal representation, especially for cases involving more than small claims. The new EU rules have been designed to ensure the availably of quality ADR services and it is set to accomplish the much-needed feat of raising awareness and understanding of ADR and ODR. Its success however will depend on whether merchants see their participation in ADR beneficial for their business model and whether a residual jurisdiction (such as an accessible online court) will incentivize ADR options.